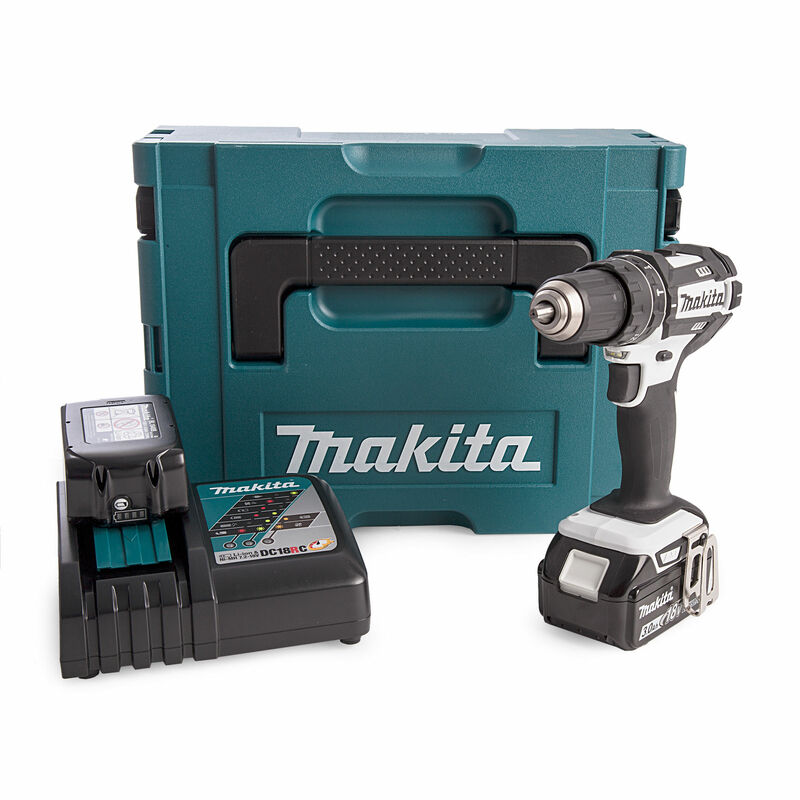 The Makita DHP482 is a compact White Combi Drill with an overall length of only 198mm. 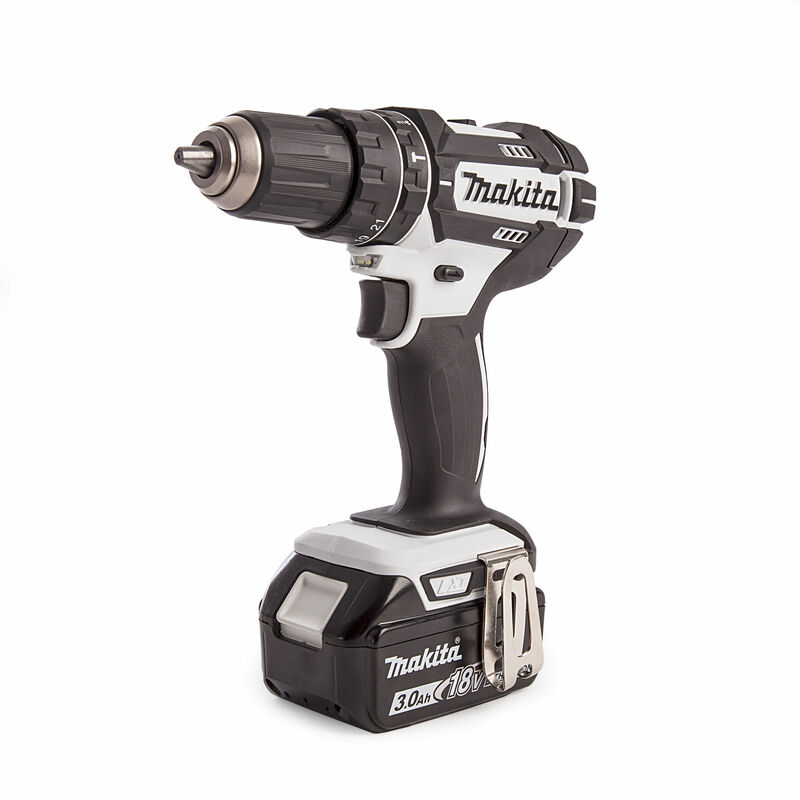 Although small it is packed with features like 21 different torque settings, hammer action and bright twin LED joblights for working in dark conditions. 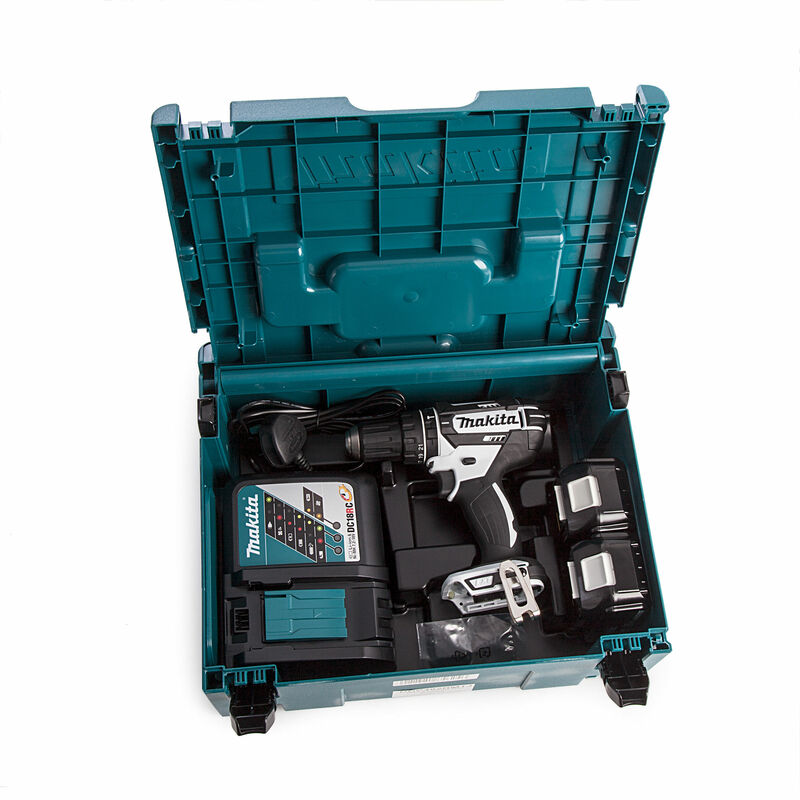 It also has an all metal gearbox for a long life and a soft grip handle designed to maximise thrust right to the bit.